I am usually really bad at keeping a meal plan. I will write one and then just not stick to it. I have decided I need to start being a little bit more organised and empty my freezers so I need to write a meal plan and actually stick to it. 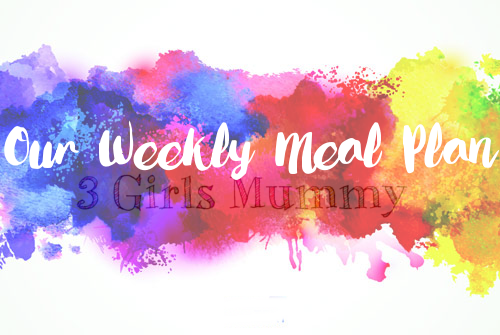 I hope these give you some ideas if you're in search of a meal plan for yourself. All of these can be incorporated into slimming world meals if you do so choose also. I was looking for some cute decor to decorate the playroom and came across these. All cute and all under £5! I am particularly in love with the light shades! I couldn't choose my favourite! So I chose my favourite three! They also have giraffes, zebras, hippos, ladybirds and bunny rabbits! I thought this was super cute and would fit in perfect in a little boy (or girls) bedroom! To hang above the bed? 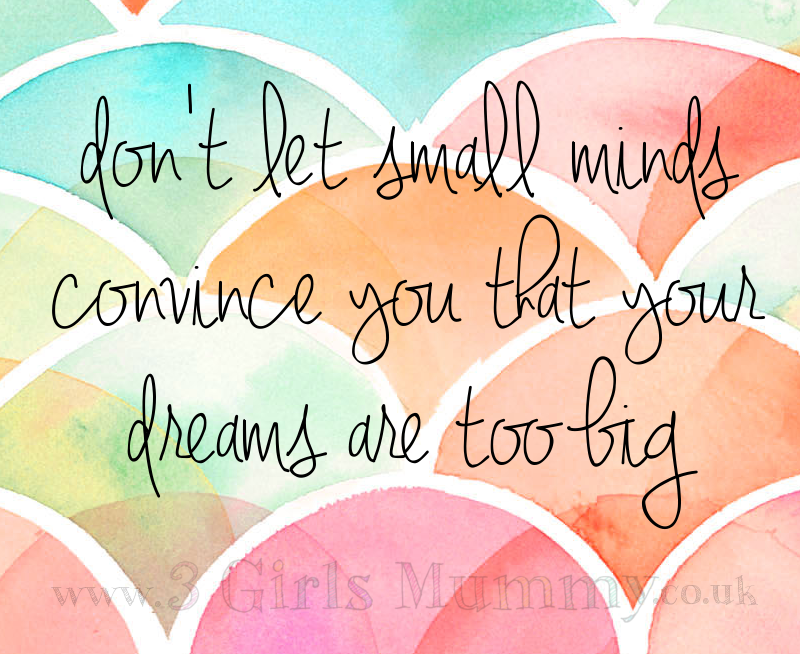 Lovely little message to read before sleeping! Room theme? R actually has her nursery woodland animal themed! Along the woodland theme, these 4 wooden owl hangings would fit in perfectly! As a bit of a pre Christmas Gift Guide (which I will be releasing at the beginning of November) I have made a little list of Stocking fillers I've spotted at Baby's Mart which I thought were really cute. 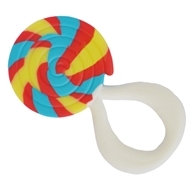 Firstly, I spotted this Little Toader AppeTeethers Lollipop which is £6.99. Suitable from birth with lovely bright colours, this is ideal for any baby or toddler that may be teething. This automatic night light is also £6.99 but would make a really neat stocking filler. 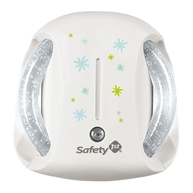 It plugs into the mains and emits a soft clear glow and would be suitable for any age. 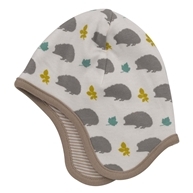 This taupe reversable hedgehog bonnet is £10.99. 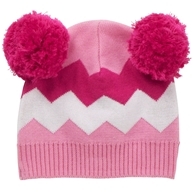 With a lovely hedgehog design on one side and stripes on the other, it is really cute and definitely unisex. This comes in one size which fits 0-5 months. 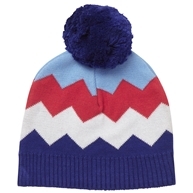 These pom pom hats are £13.00 each and are made from 100% organic cotton with eco-friendly dyes which makes them kinder to sensitive skin. I think these are so adorable! This taggie soft comforter isn't like any I've seen before. 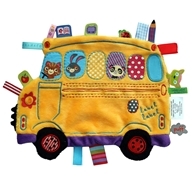 This one is £11.99 however comes in a range of designs including a school bus, zebra, cow, elephant, giraffe and pig. They're really fun designs so would appeal to any baby/ toddler. The other day I sat down and made a couple of Inspirational Mummy Quotes that I want to share with you all. I was really impressed and chose my favourite quotes. Feel free to use/ share as you wish. I will probably make more in the future so keep an eye out if you like these. 1.Was this planned or did it come as a shock? This came as a complete shock to me! We had always wanted at least 1 more child however I didn't expect to get pregnant only 3 months after having a baby. I was taking the mini pill religiously and I guess I must have been in the 2% that aren't covered. 2. How was your pregnancy? Did you have any complications in either pregnancy? Both my IT pregnancies were fine other than SPD and PGP. In IT2's pregnancy, I didn't even get morning sickness! Bonus! 3. What number pregnancy were your Irish twins? 4. Do you want any more children? We're done now. We have 3 gorgeous girls that are close in age. I wouldn't want another any time soon however I also don't think I would want one on their own in 10 years time. 5. Do you think there is any stigma to having children so close in age? Most definitely! 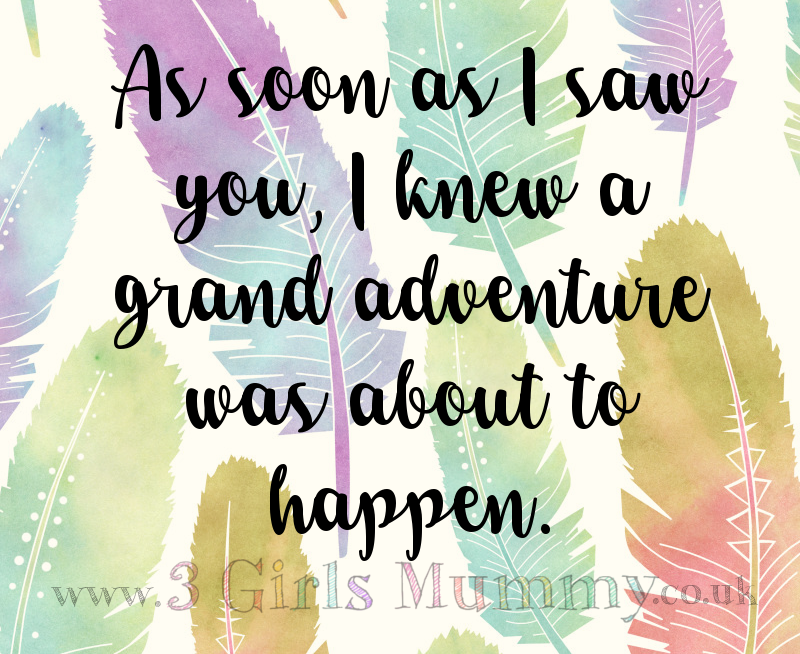 Especially with me being a younger mum, I do often get stared at in the street by total strangers. 6. 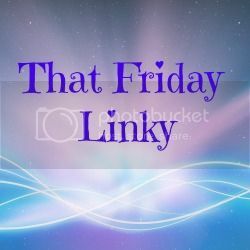 Would you say you're a strict or laid back parent? I'm quite a laid back parent however my OH is more of a strict parent which makes us a perfect combination in my opinion. 7. What piece of advice would you give someone who is expecting their youngest Irish twin? Don't worry. It's not as hard as people try and make out. 8. Have you ever had any rude comments from a family member or friend? If so, what? I keep getting comments passed that there'll be another baby here next year because noone believes that R is our last. I can't say what the future holds but at this moment in time, another baby is not on the horizon! 9. Have you ever had any rude comments from a stranger? If so, what? Nothing too bad. I often get people walk in the street and make the comment "You've got your hands full" however I don't feel they mean this in a rude way. 10. Have you ever had any nice comments from a stranger? If so, what? I have been praised for having 3 polite, happy, friendly daughters (or at least the 2 that are old enough). I have also been called "Wonder Woman" a few times! 11. Would you say the close age gap was easier or harder than a bigger age gap? I have a 2 year age gap and a 1 year age gap and currently, the 1 year age gap is easier than the 2 year age gap. You'll survive! That's what you're built for! Anyone else a hoarder of make up? I have so much make up and don't often wear it. I swear most of what I own probably isn't my colour shade any more but I keep it regardless because at some point, I have purchased it and I can't fathom throwing it in the bin even though it'll never get used again. I do however have my basics that I use each time I wear make up. My foundation, pressed powder, blusher, 2 eye shadow pallets, eye liner and lipstick as well as 3 brushes I use for my foundation, pressed powder and blusher. I got this make up bag from Amazon and I am thrilled with it! Both of my pregnancies were extremely smooth sailing medically. From the second trimester of IT2 I had to contend with my father being diagnosed with terminal cancer however which was extremely rough. He was diagnosed on the 16th December 2014 and faced an extremely hard battle. Unfortunately medical intervention was not viable and he passed away 3 days before I gave birth to my IT2 by induction. I loved being pregnant but no more. I'd like to think I'm a laid back parent but I think I have a lot of strict views too. 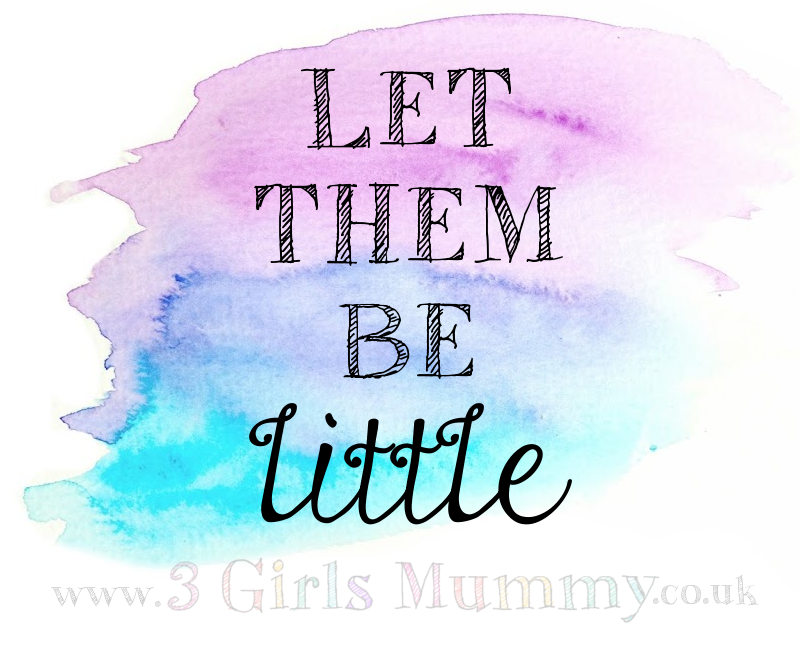 Running a family with 4 children I need to be strict with some things otherwise my anxiety and stress levels would be out of control! However when I say strict it would relate to items of the children's own responsibilities like picking up clothes and toys and the like. My advice to someone who is expecting IT's is to have absolutely no expectation whatsoever. Do not try and plan how your going to deal with having IT's, and definitely don't aim too high. Most of the time you will find yourself taking each hour by hour especially in the early days. Do not be afraid to ask for help or accept offers of help. You'll need it and it'll keep you sane. Most importantly remember that you still need to be you so make sure you take time to yourself and do not feel guilty about it whatsoever! 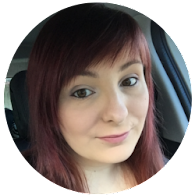 When finding out about my pregnancy with IT2 my husband was going through some pretty rough times with substance issues and mental health issues. I did get a lot of comments from friends mostly questioning whether I was happy about the pregnancy and whether I would be keeping the baby. A few others didn't say all that much, it was mostly just the tone that I picked up on. I haven't had too many people actually make rude comments to me from the general public. I do get a lot of looks and glares from people. Now that my IT's are a little older they do look more like twins now size wise so the looks and comments have subsided. It is amazing how many people you meet who have either had IT's or know of IT's once you venture out with your IT's! Of late most he comments have been encouraging ones. 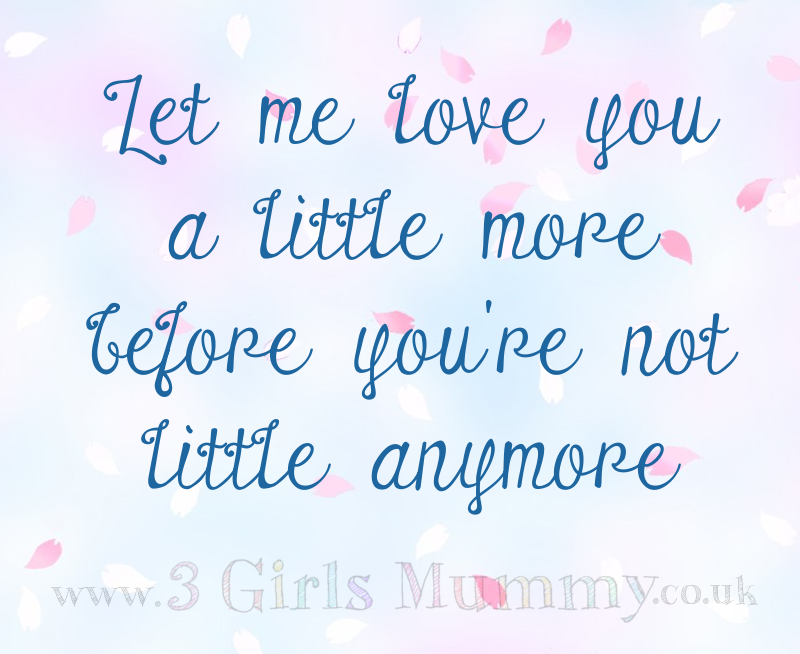 They sympathise with how difficult it is at the age my girls are now and reassure me that it is definitely so worth it and it does get easier. This week I have gone with the theme "Kitchen"
There are always cool gadgets you can buy for your kitchen. Whether they be expensive blenders, shiny new toasters, a machine that makes your boiled egg, coffee and toast each morning, there's lots of nifty things for your kitchen. These are my under £5 finds! I'm an avid lover of novelty mugs so it's only fitting that everyone have one! There were also Superman cookie cutters however I'm a Batman type of girl! I think these look really cute! Imagine these when you're serving punch at a BBQ? There's lots of lovely cupcake cases about. I thought these in particular were rather cute! Fits in your wallet, looks cool, will open that ice cold bottle of Kopparburg! What more could you want? I bagged some bargains from Mountain Warehouse eBay store on Sunday evening! They arrived next day delivery on Monday morning. Just £1.99 each for some absolutely gorgeous t-shirts. Better yet, they also included free delivery. 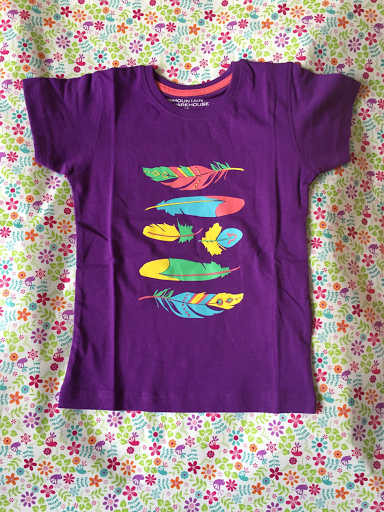 There were 5 or 6 choices for girls and some of the same designs but in different colours. I was pleasantly surprised at what they had on their eBay store. 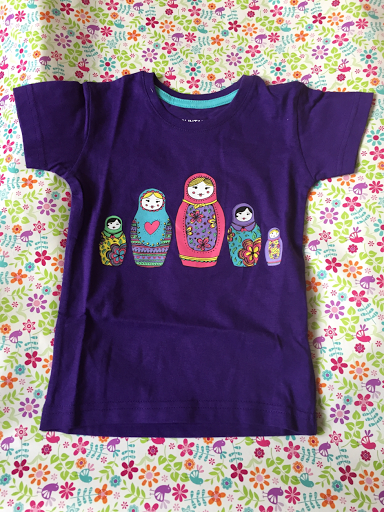 I bought this tee for T. I had heard from others that Mountain Warehouse often came up small and because I have daughters who are quite big for their age, I opted to go for 5/6 although T is only 3. I am glad that I chose this size as I would say this is the size she needs. Any smaller and I doubt it would fit. I bought the following 2 tees for L. Yet again, I bought these in 2 sizes bigger. These are 2/3 and fit my 15 month old perfectly. I am in love with the brightness of the colours and designs. The quality of the tops are amazing and I can't fault that at all. 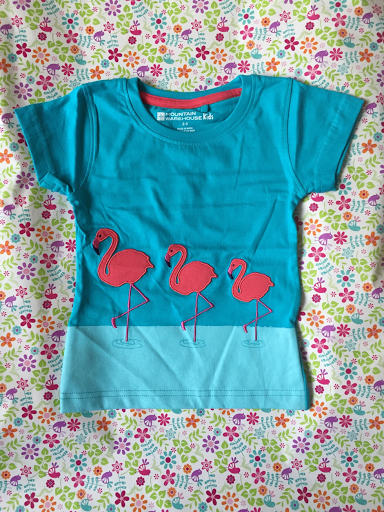 The flamingo design is appliquéd which is a nice touch. The feathers and Russian Dolls are both printed on but still seem really well done so I'm holding out hope that they wash really well and don't start pealing like others I've bought from different places. They also have a lovely selection of boys tops on their store too so I would highly recommend having a look! I am really pleased with my bargains and will keep an eye out on Mountain Warehouse for any more I find! Links to the items below. Over the last couple of days, I've tried all the flavours except chicken and mayo. I can't honestly say I'm overly impressed. They all taste very much like the sauce but not much like the rest of the fillings. 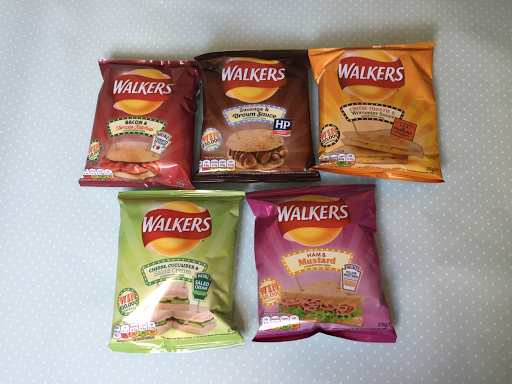 Remember when Walkers did the Tomato Ketchup flavoured crisps? Well that's exactly what the bacon ones taste like but with a very slight after taste of bacon. Ham and mustard were really yummy however I'm a fan of mustard! If you're not, I would steer clear as they're mostly mustard, very little ham. Cheese toastie and Worcester sauce are probably my favourite from the bunch but yet again, not much cheese taste to them. Although not my favourite taste, the sausage and brown sauce probably taste most like they're supposed to which was nice. I was expecting just brown sauce flavour but there is a nice smoked pork flavour in them too. Don't get me started on Cheese, cucumber and salad cream though. Although I'm not the biggest fan of salad cream (I would never choose to eat it), these crisps didn't really taste like salad cream. They have a horrible initial taste and a worse after taste. This may just be my opinion though so I would still recommend trying them if you want to. I won't be trying this flavour again though. Overall, there were some nice flavours however they didn't taste like what I was expecting. I would definitely try some of them again and I am looking forward to trying the chicken and mayo ... apparently that tastes like a Big Mac! Have you tried any of the new flavours? 2.How was your pregnancy? Did you have any complications in either pregnancy? Nope. Both pretty normal. 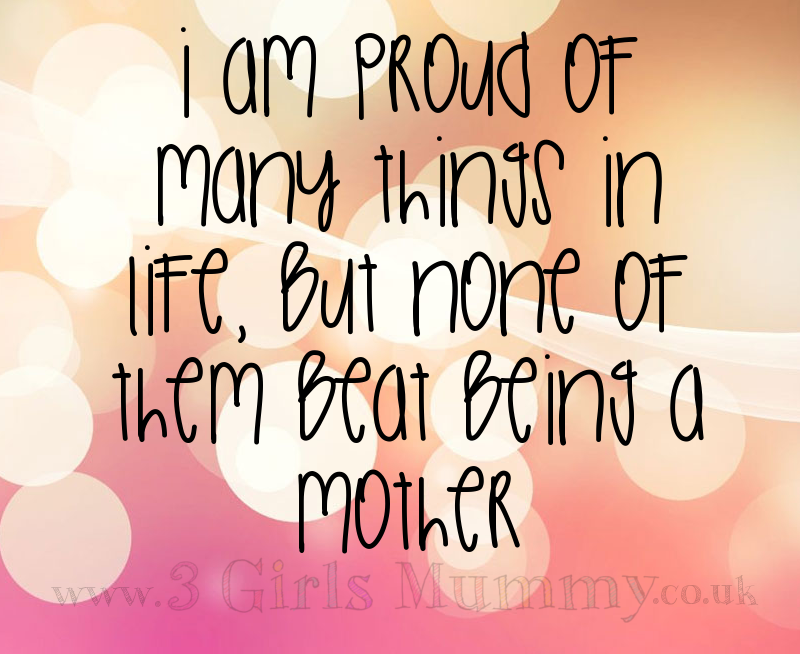 Except with it2 i had morning sickness and severe food aversions for about 7 months. 3.What number pregnancy were your Irish twins? 4.Do you want any more children? 5.Do you think there is any stigma to having children so close in age? 6.Would you say you're a strict or laid back parent? Neither. I am a gentle parent and do a lot of attachment parenting. 7.What piece of advice would you give someone who is expecting their youngest Irish twin? 8.Have you ever had any rude comments from a family member or friend? If so, what? Yes. I was pressured to abort by my mom. Friends made jokes about how I couldn't keep my legs together. 9.Have you ever had any rude comments from a stranger? If so, what? Strangers suggest i get my tubes tied. More than once. 10.Have you ever had any nice comments from a stranger? If so, what? My kids are cute and they would grow up to be close friends. 11.Would you say the close age gap was easier or harder than a bigger age gap? I think its easier in some ways and harder in others. But I have no first hand experience. It's hard yes but definitely very rewarding. I don't often admit that I do rather enjoy a bit of Harry Potter! I have decided that the theme for this weeks Five for £5 will be Harry Potter. Everyone needs a bit of magic in their lives! This cushion is a perfect addition to any room in your house! Because wall art is a must! Every fridge needs this magnet! All tables need coasters! This is the ideal one for you! Another magnet to hold up those all important photos from when you visited Harry Potter World!